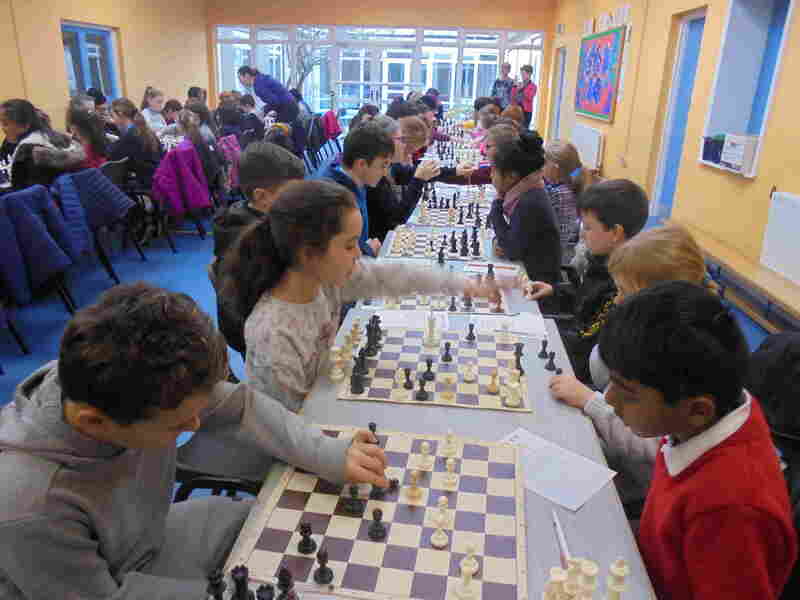 Chess has become a regular feature in SSP. It was first brought in as an after school activity a few years ago. Since then we have developed it as a constant element of the curriculum. 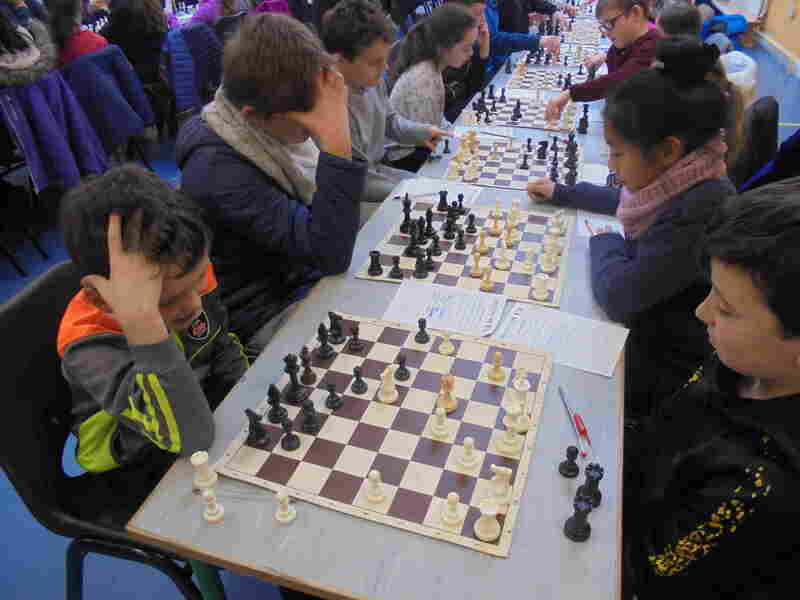 The Chess Jamboree happened on the 20th of November. 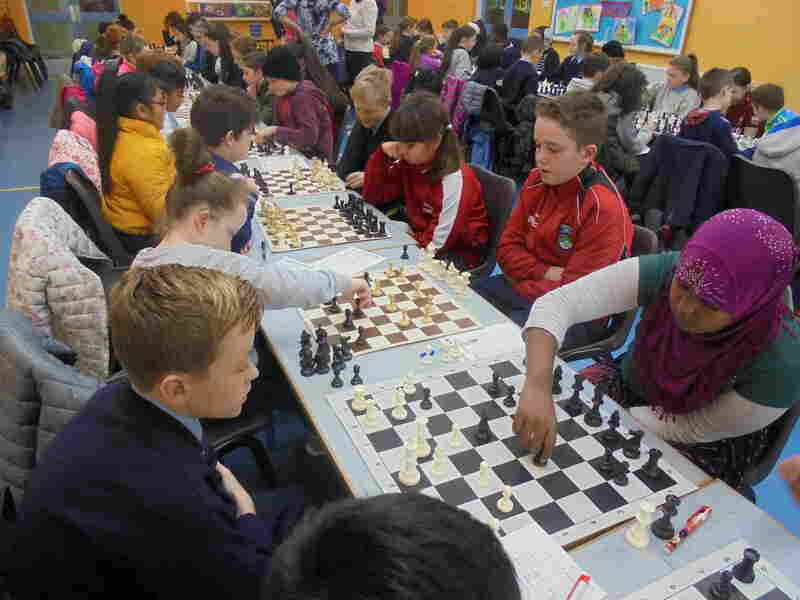 Our class played chess with kids from St Clares and the Mercy. They arrived at 11.30am and the hall was already set up. 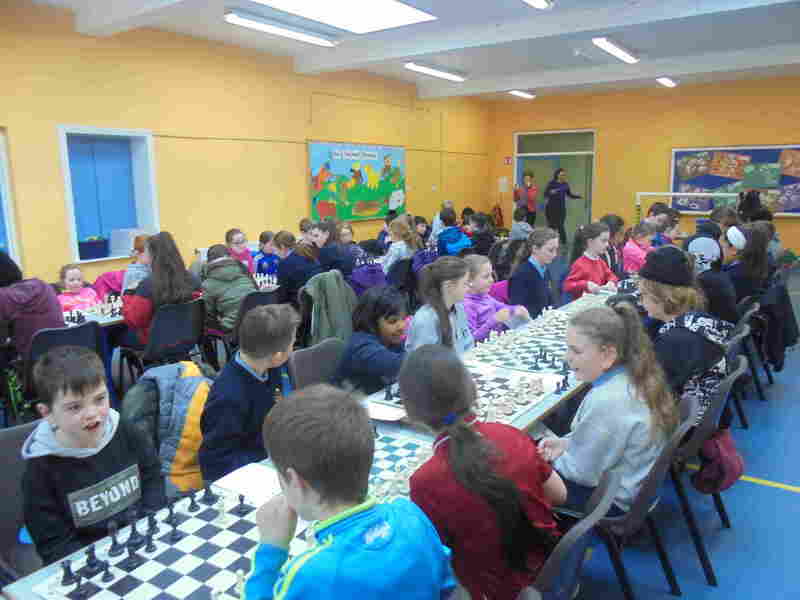 Some kids helped Deirdre to set up the tables, chairs and chess boards. We played about six games. Some people lost and others didn’t. Some people got prizes and others (including me) got sweets instead. I just learned to play chess this year. 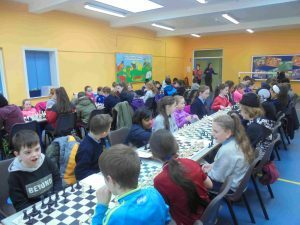 I actually enjoyed it and I want to say “Thank you” to Deirdre for organising the jamboree. On Tuesday the 20th of November, we had a chess jamboree in our hall. In the morning, Deirdre’s class went to the hall to set up the tables and boards because St Clares and Mercy Primary were coming to our school to play chess with us. We made two long lines of tables and chairs and we all helped to organise the hall. At 11.30am, the Mercy and St Clares arrived while we were eating our lunch. After we finished our food, we went to the hall. Deirdre showed us where to sit. We were given score sheets. We wrote our names on the sheets and after each game, we wrote down our points. Some people played Pawn Wars because they only started learning how to play chess. Pawn Wars is a game where you only use pawns. Some people played full chess. I can play full chess. Before every game, Deirdre told us to find out something about the person we were playing like how many brothers and sisters they had or where did they go on holidays. We played six games and after playing, some tables got prizes like cards or dice. We all got sweets to share. When the two schools left, we all went out to the yard. After break, we put back the tables and chairs so the hall was empty again. I had fun at the jamboree. Click here to download the enrolment form.